An Ecclesiastical Experience . . .
As most of you already know, my family and I recently joined the Ukrainian Greek Catholic Church! I come from a devout Protestant family: my father has been a pastor for over thirty years, my sister is a missionary in Southeast Asia, and I, too, pastored for several years. As you can imagine, our decision to join the Church was not easy. Our journey was filled with years of angst, hours upon hours of discussion and introspection, mountains of books, and, intensive prayer. While all of these activities played a role in our conversion it was our first hand experience of the Church that had the most lasting impact on us. 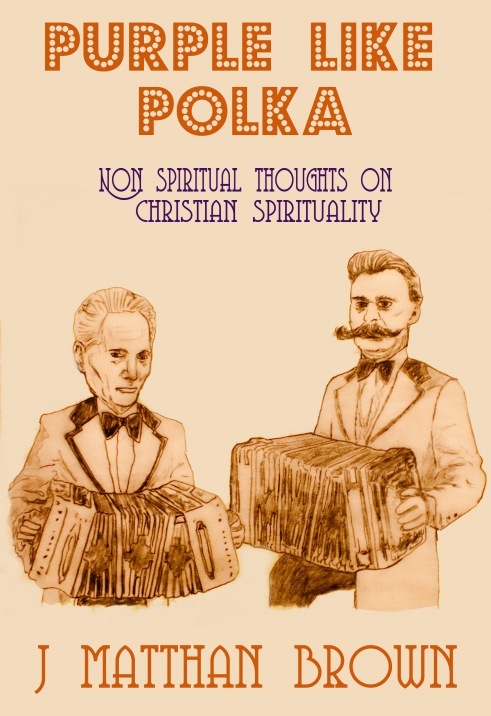 The great Russian philosopher Pavel Florensky once said, “Only by relying on immediate experience can one survey the spiritual treasures of the Church and come to see their value.” This was certainly true in our case. I still remember the first night my wife Rosie and I secretly attended vespers at an Eastern church near my parents house. Up to that point, we had only rationalized about “the Church.” We had loads of objective information, from piles of books, rattling around our heads–but no subjective experience. We were like blind beggars crying out on the side of the road–our first encounter with eastern liturgy was like the miracle of experiencing sight for the first time. One day I will share the whole story with you; until then, please enjoy these beautiful photos. Perhaps they will give you a taste of the beauty and richness of the One Holy Catholic and Apostolic Church; perhaps they will stir your soul and fill you with an intense desire to experience ecclesiality for yourself . . .
After six years of intensive prayer and research, I’m excited to announce that my family and I are joining the Ukrainian Greek Catholic Church! I realize this news will leave many of you shocked and even horrified. Undoubtedly, there are some of you doubting my sanity and even my salvation at this very moment. You may also feel hurt that I never spoke to you privately before making this announcement public. To those of you who are upset, I offer my sincere apology—it was never my intension to surprise you or take you off guard. The rigorous demands of day to day life make it difficult, and sometimes impossible, for me to maintain regular contact with many of my dear friends (and even family) scattered around the world. Do you still believe in Jesus? Do you still believe in the Bible? Most emphatically I do! For it is the inspired word of God; as St. Paul states: “All scripture is breathed out by God and profitable for teaching, for reproof, for correction, and for training in righteousness” (1 Timothy 3:16). The Bible is of primary importance and is an essential component of our corporate worship. It is also a crucial aspect of our personal spiritual development. All Christians should read the Bible and meditate upon its message. Nevertheless, I do not accept the spurious doctrine of Sola Scriptura which was proclaimed by Martin Luther and perpetuated by Protestants thereafter. They do not—that would be idolatry. As it is written, “you shall have no other gods before me” (Exodus 20:3). Mary is, however, highly honored as the first Christian and for being the mother of our Lord and Savior Jesus Christ (i.e. the Mother of God incarnate). As it is written, “blessed is she who believed that there would be a fulfillment of what was spoken to her from the Lord” (Luke 1:45). Do you still believe in Baptism by immersion? I believe Baptism by immersion is the primary example we see in the New Testament, and, thus, the primary and most preferable mode of Baptism. Nevertheless, it is not explicitly pronounced in the Bible as being the single and only mode of Baptism. Throughout Church history, from the earliest times, Baptism has been administered through other ways (i.e. sprinkling, pouring, etc…). In the Eastern Catholic churches, however, immersion (following the example of the New Testament) is still the preferred mode. Do you believe infants should be Baptized? I certainly do, as our Lord says, “Let the little children come to me and do not hinder them, for to such belongs the kingdom of heaven” (Matthew 19:14). As a sacrament, baptism is the means by which we are united with the body of Christ (i.e. His Church) and made alive. Like circumcision under the Old Covenant, baptism is the gateway by which we enter into the New Covenant and share in the death of Jesus. As it is written, “In him also you were circumcised with a circumcision made without hands, by putting off the body of the flesh, by the circumcision of Christ, having been buried with him in baptism . . . you who were dead in your trespasses and the uncircumcision of your flesh, God made alive” (Colossians 2:11-13). Children have been baptized — washed clean from the Original Sin inherited from their parents and allowed to join the life of the Church (i.e. the Kingdom of Heaven ) — from the earliest times. Do you believe you can save yourself through works? No one can “save themselves” from death (which is the inevitable consequence brought about by sin) or from the final judgment—only God can do this. It is clear that God does not bring about our salvation through the works of the Law of Moses, but through Jesus our Lord. As St. Paul states, “we hold that one is justified by faith apart from works of the law” (Romans 3:28). Nevertheless, “whoever loves has been born of God and knows God. Anyone who does not love does not know God, because God is love” (1 John 4:7-8). True faith is instantiated through our love for God and our love of neighbor. This is why St. James proclaims, “A person is justified by works and not by faith alone” (James 2:24). We are saved by grace through faith—but real and living faith is evidenced through works of love. What is the Ukrainian Greek Catholic Church? The Catholic Church is a communion of over twenty ritual churches. The Roman church is the largest and, therefore, the most widely known. The Ukrainian Greek Catholic Church is simply one of the twenty ritual churches. They are, essentially, Eastern Orthodox, originating from Ukraine , who are in full communion with Rome and under the authority of the Pope. They are otherwise known as Eastern Catholic’s or Byzantine Catholic’s. (Note, however, that there are other Eastern Catholic Churches who go by other names). Are you moving to Ukraine ? No. Although, I would love to visit someday! Are their services in English? Yes! In most of the American parishes, the Divine Liturgy is in English. Isn’t Pope Francis a crazy liberal who preaches universalism and thinks abortion is not a big deal? You’ve been reading the Huffington Post again haven’t you? Take some time to read the things Pope Francis actually says—then decide if he’s a crazy liberal. Can I visit your church? Yes! You are always welcome to visit–come just as you are. We are currently attending St. Nicholas Mission. It’s Not Really Good Bye . . .
Do We Need the Church?